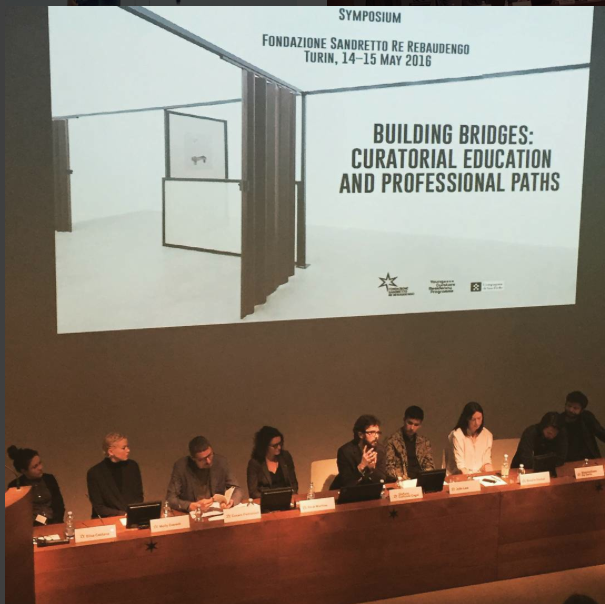 This past weekend, Fondazione Sandretto Re Rebaudengo in Turin hosted Building Bridges, a symposium reflecting upon curatorial practice and how curators move from educational to institutional contexts. 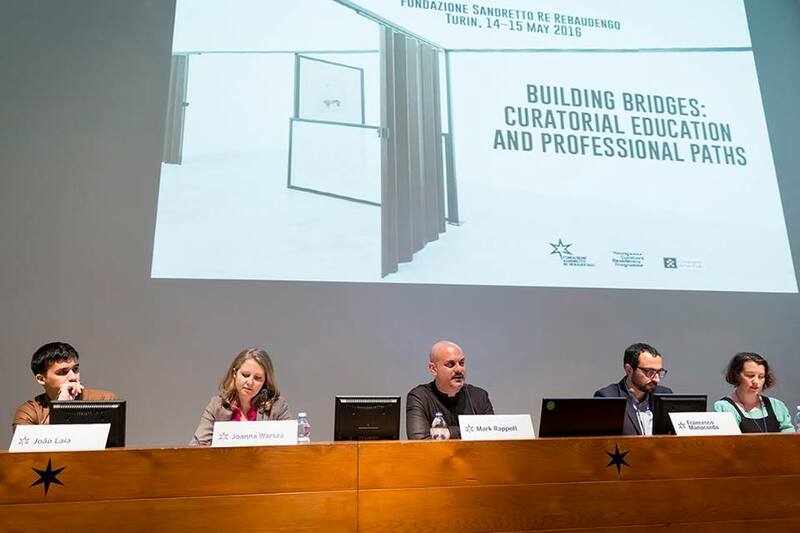 The conference was held on occasion of the tenth anniversary of the Young Curators Residency Program (YCRP), which annually brings three non-Italian recent graduates of curating courses to Italy to research contemporary Italian art. During the residency, the curators travel across the country, meet artists and visit museums, and complete the project by curating an exhibition drawing on their research. Following a welcome by foundation President Patrizia Sandretto Re Rebaudengo, the foundation’s curator, Irene Calderoni, introduced the symposium’s aims and key themes. Looking back at the residency since its inception in 2007, the symposium sought to evaluate its goals, structure, and influence on the field. Firstly, Calderoni addressed how training and educational contexts facilitate a move into institutional employment and, in particular, how study, research, and experimentation translate into professional modes of working. Secondly, Calderoni positioned the conference as a means for the foundation to evaluate its approach as both a contemporary arts institution and an educational organization (aside from YCRP, the Foundation runs Campo, a curating course established in 2012 for students based in Italy). The first panel brought together Beatrix Ruf (Director, Stedelijk Museum, Amsterdam), Tom Eccles (Executive Director, Center for Curatorial Studies, Bard College), Dr. Simon Sheikh (Reader in Art, and Programme Director of MFA Curating, Goldsmiths College), and me, moderated by Mark Rappolt (Editor-in-Chief, ArtReview). All of the panel’s participants had arrived to curating from a variety of paths—semiotics, dance, sociology and art history. Each emphasized the very inceptive nature of contemporary art, which has meant that curating is inherently cross-disciplinary, informed by lateral thinking and hybrid approaches that pool together knowledge from vastly different places. How then do you teach a profession which doesn’t comfortably sit within a single discipline and university department? Eccles and Sheikh both agreed on the importance of combining theory and practice and providing young curators with practical experience while still studying. We all emphasized the importance of the physical, embodied encounter with art, rather than its digital representation. As an example, Eccles pointed out that the first assignment students at Bard College face is to select a work from the CCS Bard collection and propose its display and interpretation. Ruf, Sheikh, and Eccles all drew attention to the waning viability of working as a freelance curator, and the shift from the model of the “independent curator” popular in the 1990s to professionals increasingly affiliated with ever-larger institutions. Following a round of questions, all of the panel’s participants noted that curating courses lack a more informed and detailed approach to teaching fundraising, as well as management and leadership skills. The second panel brought together João Laia (Co-Founder and Curator, The Green Parrot), Francesco Manacorda (Artistic Director, Tate Liverpool), Kate Strain (Director, Grazer Kunstverein), and Joanna Warsza (Head of CuratorLab, Konstfack). The afternoon’s conversation centered on themes of audience engagement and fostering relationships between institutions and visitors. Strain argued for curators to work in a variety of contexts and cited her own experiences ranging from running a vegan cafe to collaborating with universities as giving her a strong sense of the importance of hospitality and working with a different demographics. Warsza responded that it is the curator’s very responsibility to deal with their audience, while Laia argued for sensitivity towards the geopolitical nature of local contexts and how projects are translated and adapted to these. 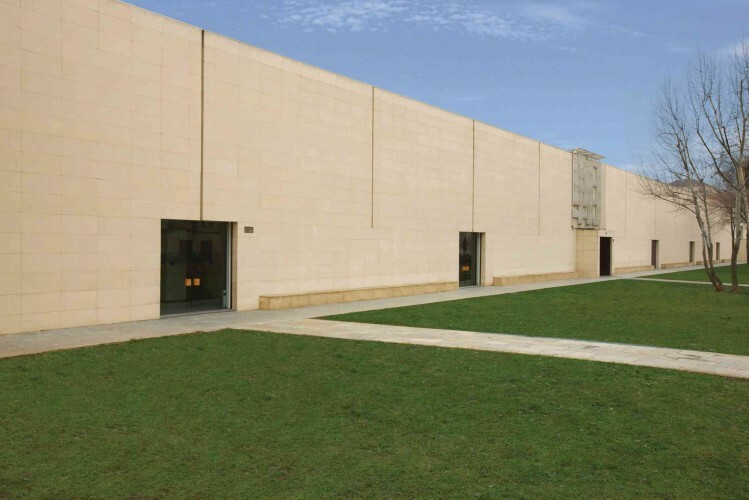 Manacorda stressed the need for institutions to collaborate directly with audiences and cited the recent Tate Liverpool exhibition An Imagined Museum as an example of the museum engaging in direct dialogue with local audiences. The exhibition drew on Ray Bradbury’s 1953 science fiction novel Fahrenheit 451 to propose a fictional scenario in which the exhibited artworks will cease to exist. As part of the exhibition, Tate Liverpool asked local audiences to memorize the works, and then removed these from view in the exhibition’s final weekend. Visitors were then invited to return to Tate Liverpool and recollect and narrate the missing artworks, sharing their personal experiences and readings. Sunday’s sessions brought together past YCRP participants and artists previously invited to exhibit their work as part of the curators’ final exhibition. Moderated by Stefano Collicelli Cagol (Curator at Large, Trondheim Kunstmuseum, and previous YCRP co-ordinator), the discussion focused on the curators’ and artists’ experiences of collaborating, their expectations and the challenges they faced. Artists including Rä di Martino, Cesare Pietroiusti, and Chiara Fumai shared their experiences of working with non-Italian curators and the memories of the final YCRP exhibitions they participated in. In particular, the artists noted their enthusiasm for establishing relationships with curators, which often translated into long-term conversations. Curators including me, Rosalie Doubal (Associate Curator, ICA London), Kate Strain, and Andrey Parshikov (Head of Research, Manege Museum Association) recounted their expectations and experiences of working in Italy, the challenges of working with curators they had previously never collaborated with, as well as questions of sensitivity towards local context and artists. Both the artists and curators discussed the long-term results of the YCRP, which has nurtured ongoing collaborations and extending invitations to artists to participate in further exhibitions. 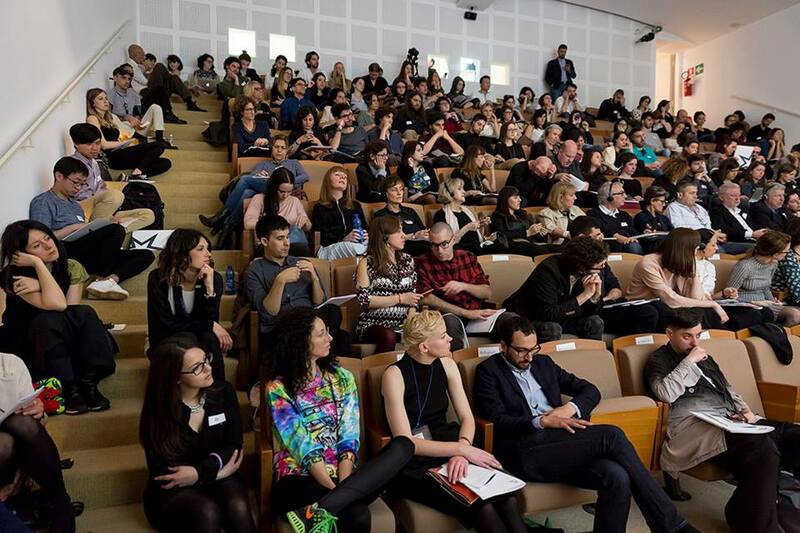 The legacy of the YCRP program lies largely in this network of ever-growing exchanges and dialogues between Italian artists and non-Italian curators. 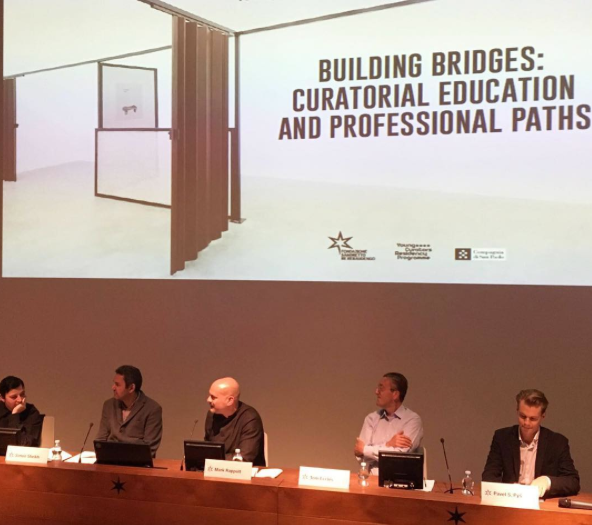 Building Bridges made apparent that there is no fast-track, linear, logical, and formal path for curators to move from the educational to institutional contexts. Instead, curators enter institutions through a series of both formal educational experiences as well as self-organized professional ones. The YCRP, along with opportunities such as the Walker Art Center Curatorial Fellowship and Cubitt Curatorial Fellowship, provide a vital in-between stepping-stone from study to work. Crucial to the YCRP is the ability to spend time with artists and peers, talking, exchanging ideas and engaging with a new cultural context. Driven by research, the residency teaches young curators how to work together, often beyond a linguistical boundary, and collaborate to create a culturally sensitive and timely exhibition. Here, at the Walker, the Curatorial Fellowship program provides young curators with a wide scope of experiences. The program places fellows at the center of the visual arts department, offering the opportunity to work closely with senior curatorial colleagues and directly with artists, the collection and across the visual arts program. The fellowship provides a firm grounding in curating in an interdisciplinary and institutional context and allows young curators to contribute to an exhibition from its conception through to fruition. Fellows are also exposed to good working practices, such as team-building, management skills and collegiality, which as Building Bridges saw are usually values and skills learned on the job, rather than as part of a structured working environment. Opportunities such as the YCRP and the Walker’s Curatorial Fellowships are key ways of developing professionals in the field, embedding curators right at the heart of an institution’s mission.